Improvements to productivity and market access will need to be the focus of sugar exporters that compete in the increasingly sugar hungry Asian market, according to a new report by agribusiness banking specialist Rabobank. 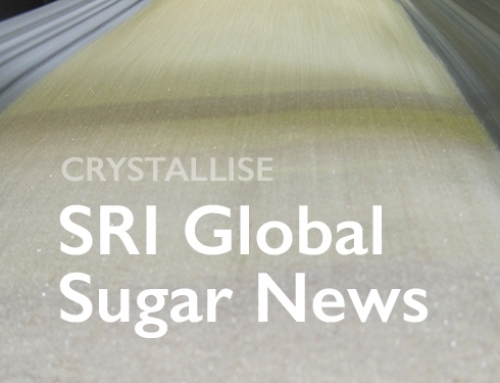 The report, Crystallising the Sugar Flows in Asia, says for decades Australia’s sugar industry has been heavily reliant on strong demand out of Asia, particularly the gap in sugar production and consumption. China will continue to absorb large volumes of Brazil and Thai origin sugar, creating opportunities for Australian product in other markets. Asian markets account for 90 per cent of Australia’s raw sugar exports and will continue to present medium-term growth opportunities, the report says. The structural gap between production and consumption is expected to widen by more than four million tonnes over the next decade. Report co-author, Rabobank commodity analyst Georgia Twomey says the supply gap in Asia is critical to the future of Australia’s $1.3 billion sugar export industry, however increasing export volumes out of Brazil and Thailand have seen competition in key Asian markets intensify over the past 15 years. While the outlook for Asia’s consumption growth is positive, the report says Australia’s four largest sugar markets – Korea, Indonesia, Japan and China – are all characterised by different growth patterns and government policies. “On face value, Indonesia has the strongest growth potential for Australian sugar, with consumption expected to increase by an annual rate of 3.5 per cent over the next decade – however market access currently sits as an obstacle to the potential there,” Ms Twomey says. “Consumption growth is likely to slow in the more mature markets of Korea and Japan, the strong market share held by Australia (particularly for product with specific quality demands) together with consistent import demand should see us retain, if not grow, market share,” she says. The Rabobank report says the world’s two largest exporters – Brazil and Thailand – now account for more than half of the world’s sugar trade, with output increasing substantially due to capacity expansion and productivity gains – albeit, the rate of growth has slowed in recent years. Meanwhile in Thailand – which competes more directly with Australia in key export markets – production and exportable surplus is expected to increase, Ms Twomey says, as the Thai government focuses on the expansion of cane acreage and new mill infrastructure. In addition to productivity growth, the report says “market access and a level playing field for tariffs” will be critical to maintain competitiveness into Asia. “Since 2013, Australia has negotiated free trade agreements with three of its four largest sugar markets and, although they have fallen short of meeting the industry’s demands, they have resulted in improved market access into Japan, and in the case of Korea brought Australia back to a level playing field with Thailand,” Ms Twomey says. Ms Twomey says while trade agreements, along with consumption growth and production shifts in destination markets would largely dictate Australia’s trade into Asia, the sector also needs to increasingly adhere to sustainability standards – as regulators and customers increase demands on the industry to minimise its environmental footprint.